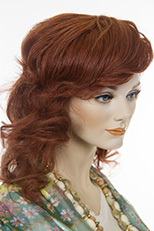 Lovely blunt style even length jaw clip in hair piece which is 6 to 7 inches length. Made from the finest synthetic, modacrylic kanekalon fiber origin Japan. See item details for available colors. Striking and chic! 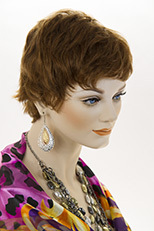 Short, straight, layered pixie style wig, with length on the top and tapering at the nape. See item details for available colors. Wig Pro Candice! Chic! 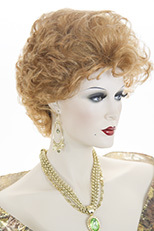 Petite size wig. Short, straight pixie cut, tapering at the sides and nape. Featuring a monotop for the most natural looking and versatile style. Part the hair in any direction! 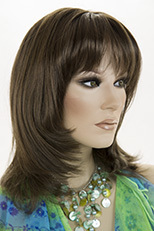 Front length is 2.5", side 1.75", nape 1.75". The cap is open average. The cap Size: 20 1/2". The weight of the wig is 2 oz. See item details for available colors. Please allow one week, for special order colors. 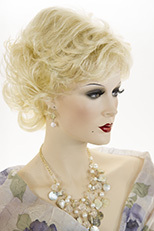 Feminine and elegant! 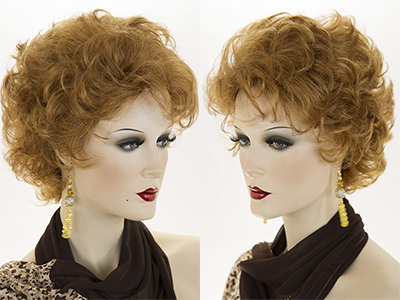 A short wavy hair piece, which is easily attached with a hair stick. This lovely hair is 8 inches in length. See item details for available colors.